After the release of Windows 10, users are finding that they are forced to look at a completely unnecessary Taskbar when in tablet mode. 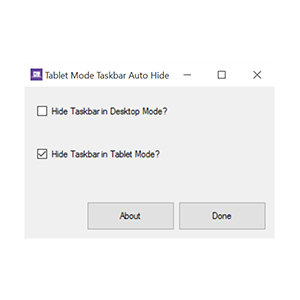 We have developed a simple application to allow users to choose to auto-hide the Taskbar in tablet mode and/or desktop mode. Regain control of your Windows 10 tablet mode experience by hiding that annoying Taskbar today. 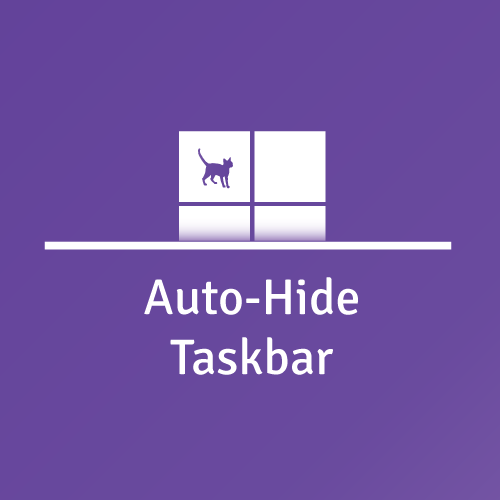 Download the Free Trial or Purchase the Auto-Hide Taskbar App. 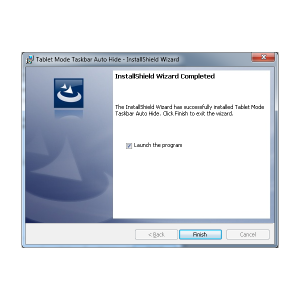 Install and launch the app! Enter your email and License key if you have made the purchase, or simply click Activate if you’ve downloaded a free trial. The app will live in your system tray for you to easily toggle the Auto-Hide feature on/off.